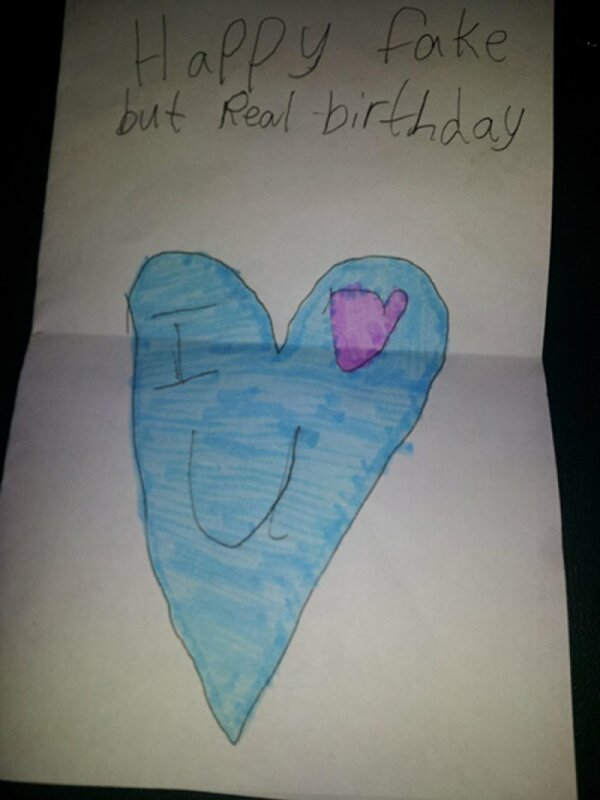 Hilarious Proof That Kids Write Better Birthday Cards Than You! 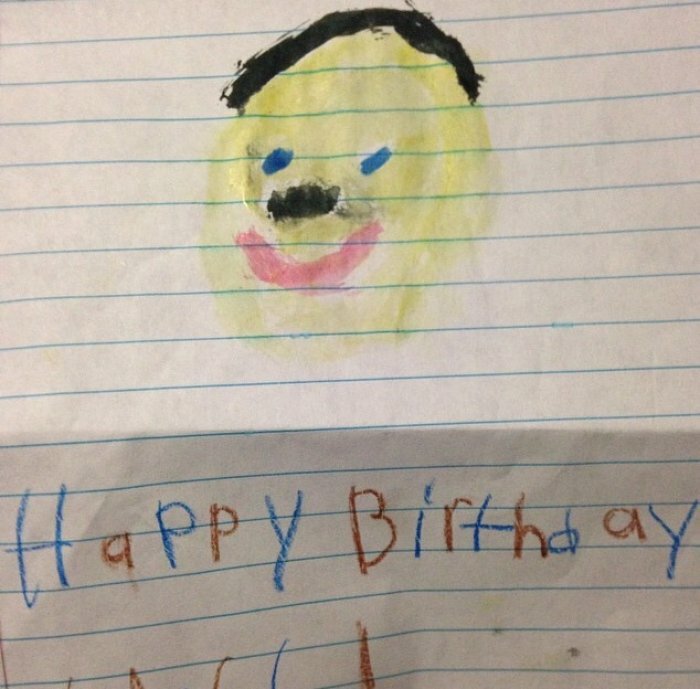 Behold the definitive proof that toddlers write better birthday cards than you. I think we can all agree that these tots are pure genius disabled by spelling issues. If it weren't for that and the crayon-addiction, they'd monopolize the whole greeting card industry. #1 - They know what life is really about. 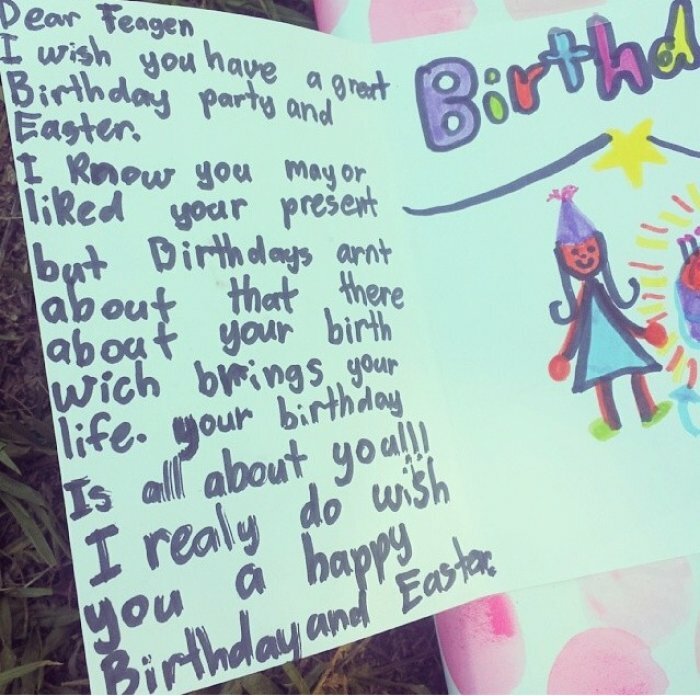 "Dear Feagen, I wish you have a great Birthday party and Easter. I know you may or liked your present, but Birthdays arnt about that there about your birth wich brings your life. Your birthday is all about you!!! I realy do wish you a happy Birthday and Easter." #2 - They know how to throw some cash around. 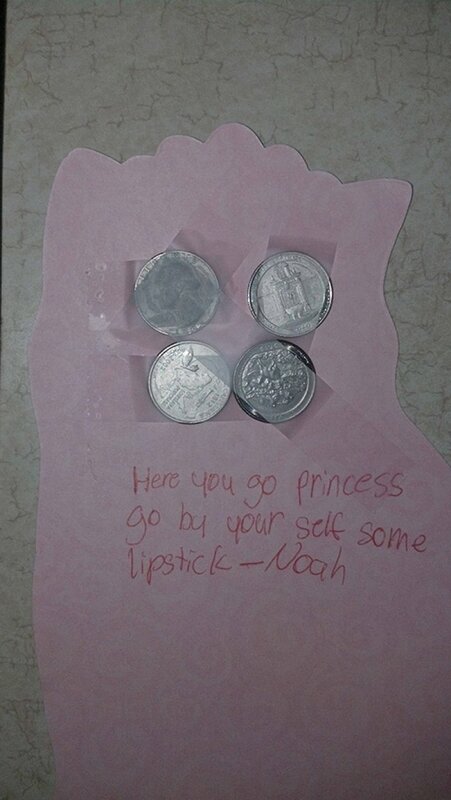 "Here you go princess go by yourself some lipstick - Noah"
#3 - They've been watching you grow for so long now. 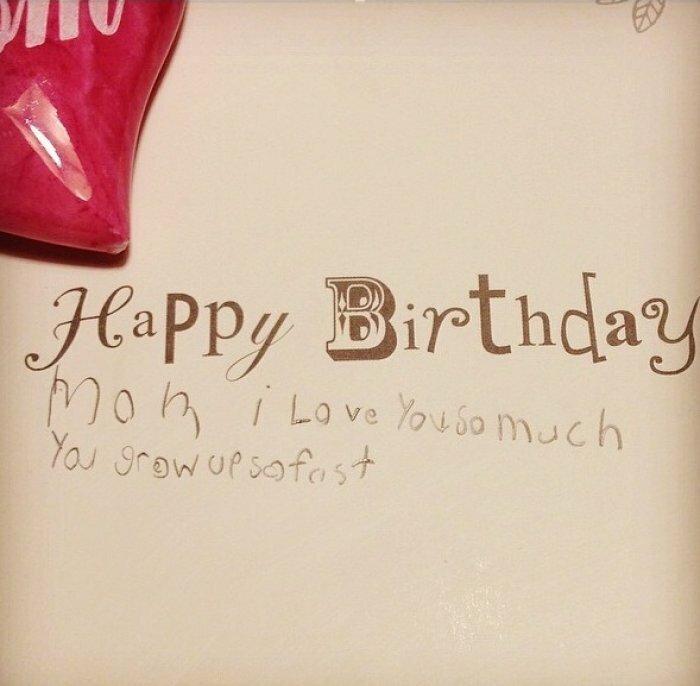 "Happy Birthday mom i Love You so much. You grow up so fast"
#4 - They put the whole aging thing into perspective. "Nanna, Did you know we are the same age? Almost. You are 6 and 5... I am 5 and nearly 6... Close enough! Love from Austin xoxo"
#5 - They take a spelling shortcut straight to the point. #6 - They’re not just being polite, they've really thought about what you mean to them. 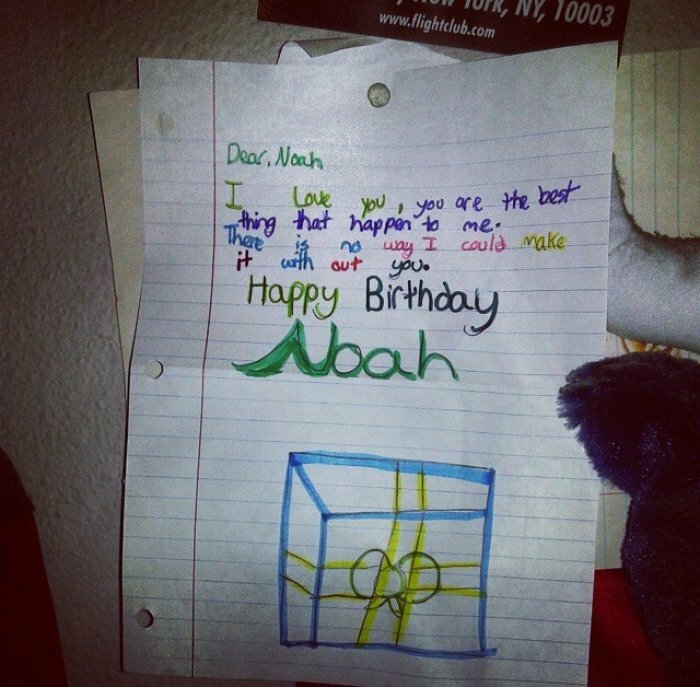 "Dear Noah, I love you, you are the best thing that happen to me. There is no way I could make it with out you. Happy Birthday Noah"
#7 - Sure, they've got a bit of a lisp, but who else could make you feel so spathl? "Happy BrithdaY to you. Happy Brithday to you. HaPPY Brithday Dear Nand. Happy Brithday to you :) Hope your Brithday is as SPathl as you are "
#8 - They don't judge you for looking like Hitler. #9 - They're great at developing a theme. 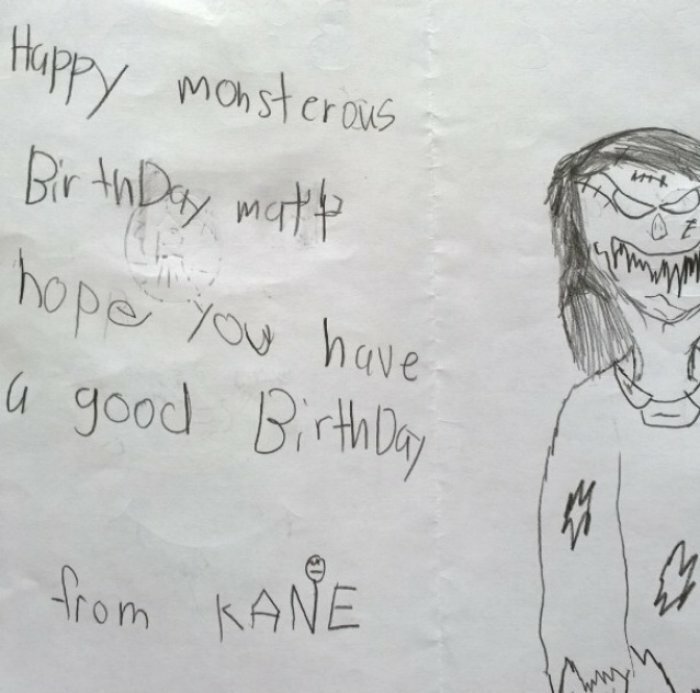 "Happy monsterous Birthday matt hope you have a good Birthday from KANE"
#10 - They'll really make you think- and perhaps throw you into existential turmoil. 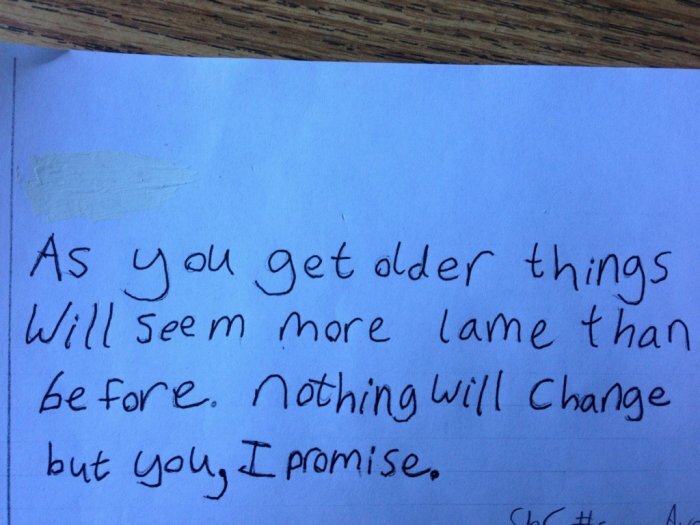 "As you get older things will seem more lame than before. Nothing will change but you, I promise." #11 - They just want you to be independent… but also make smart choices. "Now you can drink YEA, but be smart about it!!!!! From Aidan :)"
#12 - They put the whole aging thing into perspective. 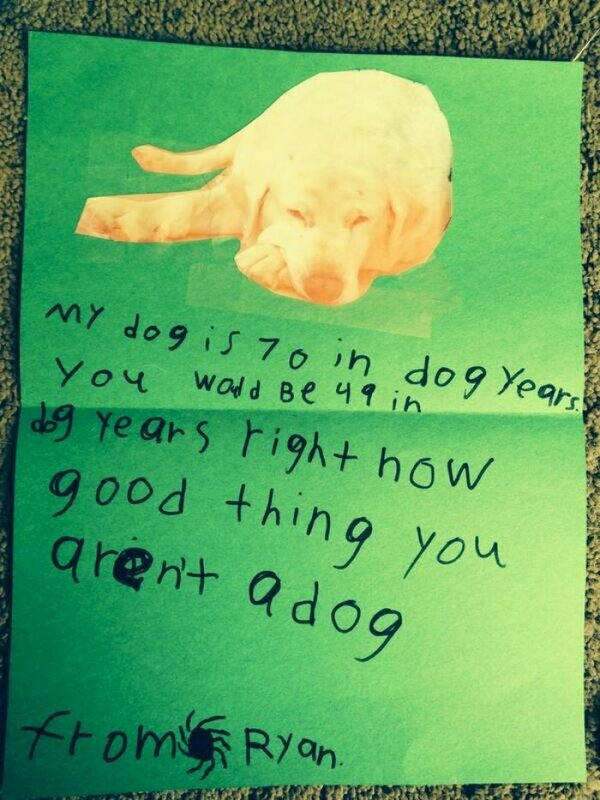 "My dog is 70 in dog years. You would be 49 in dog years right now. Good thing you aren't a dog. From Ryan"
#13 - Maybe they're a bit too intense, but that only shows how much they care, right? 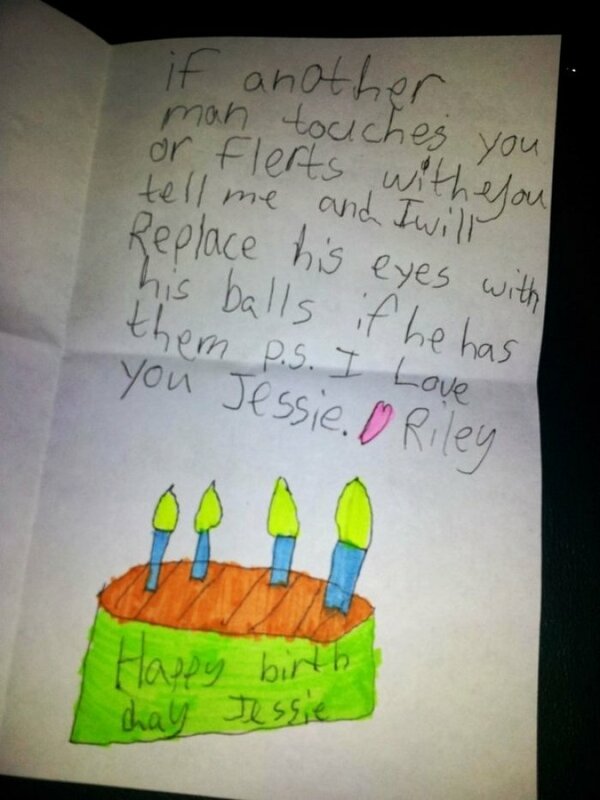 "If another man touches you or flerts with you tell me and I will Replace his eyes with his balls if he has them p.s. I love you Jessie"
#14 - They're not worried about your age, they just care about your soul. "Dear Uncle Bryan. 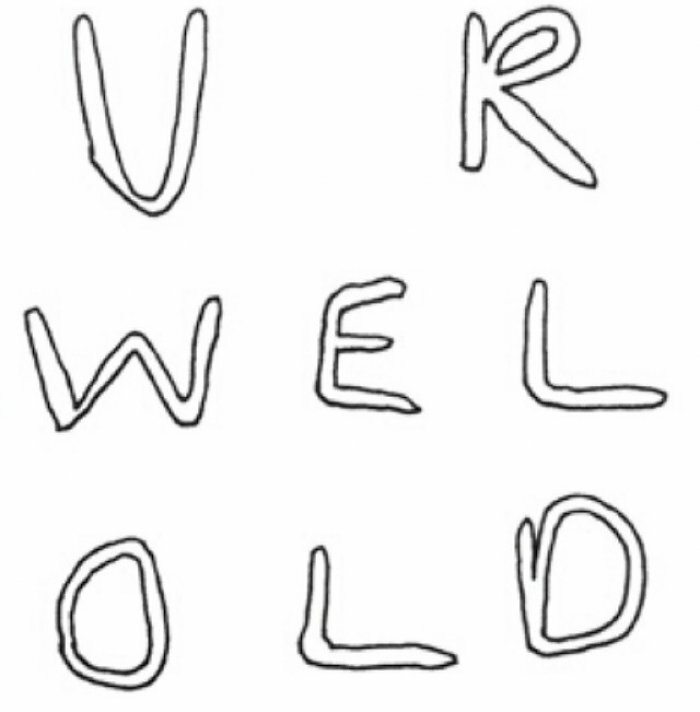 I hope you have a good birthday. I love you uncle Bryan. How are you? Have you hird of saten? he makes you do bad thagings. Love Rebekkah"
#15 - They just want you to be independent… but also make smart choices. 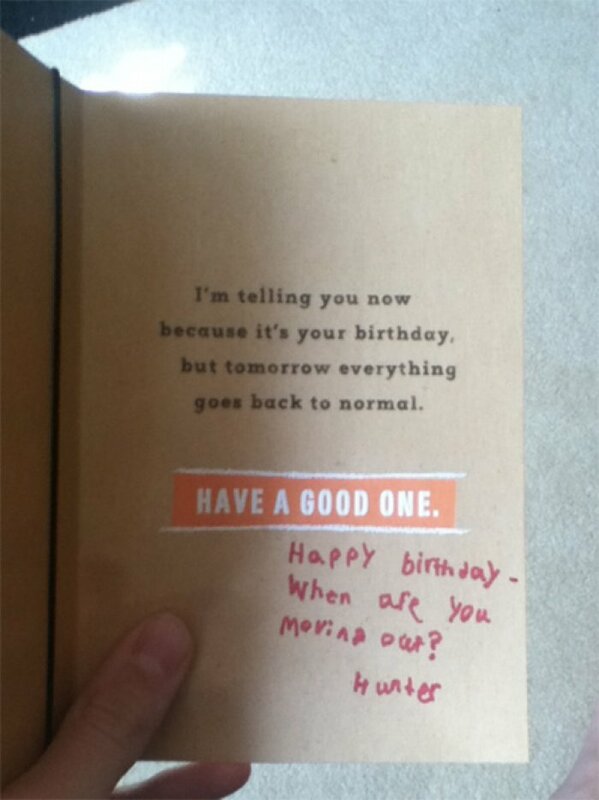 ......... "Happy birthday - when are you moving out? Hunter." #16 - They know something you don't. "Happy fake but Real birthday"